Valentine’s Day is around the corner! 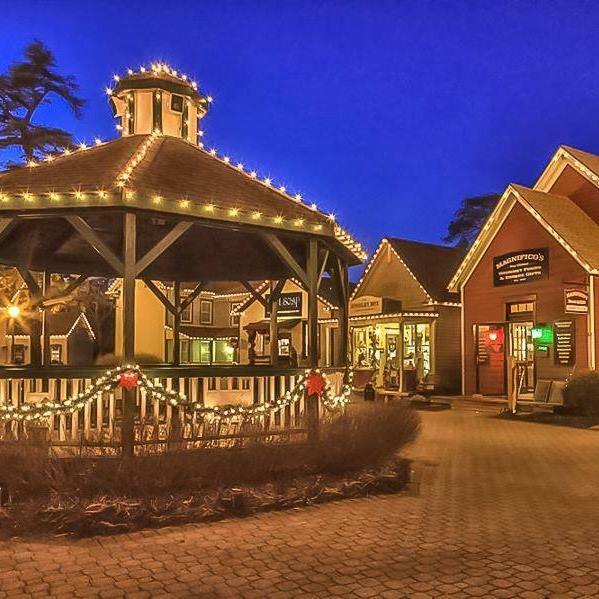 If you’re looking for new ways to spend the holiday with your loved one, check out this list of top five romantic things to do throughout the Village. 2.) Selfie on the Bridge- Love is in the air so of course… you need a selfie! The wooden bridge that connects both sides of the village over Lake Meone is the perfect picture spot. Get the antique Old Red Mill in the background, or the classic Smithville sign. 3.) Candle lit dinner at The Smithville Inn – Walking into the Smithville Inn and seeing the oversized fireplace lit, the antique wood and brick walls, and being greeted by their friendly staff, you will be sure you picked the right spot for your night out. This fine dining restaurant features all types of elegant and delicious dishes. If this is in idea sounds right for you,make sure to call ahead for reservations. 4.) Stroll the Village at sunset- As the sun goes down and the Village lights up, you feel a sense of ease, relaxation, and romance. Taking a stroll through Smithville gives you some quiet time and a breathe of fresh air. Take a seat in the Gazebo over the water, or walk through the village greenery. 5. )Pick out some chocolate at Sweet Things– We all know it’s true…Valentines Day isn’t complete without chocolate. Head over to Sweet Things to pick out a piece, or a basket (no judgement) of their homemade chocolates. This entry was posted in More fun at Smithville. Bookmark the permalink.